Place on grill over medium heat and cook for 5 to 7 minutes on each side or until meat is cooked to your liking. Let stand for 5 minutes before thinly carving at an angle against the grain. Transfer meat and juices to a platter. 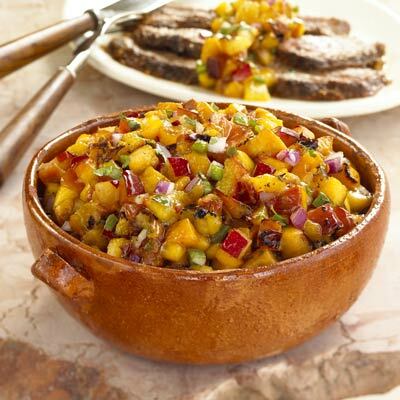 Serve with grilled Peach, Plum and Nectarine salsa.